Thank you in advance for any donation small or large toward our THIRD Annual Gettysburg Pride . 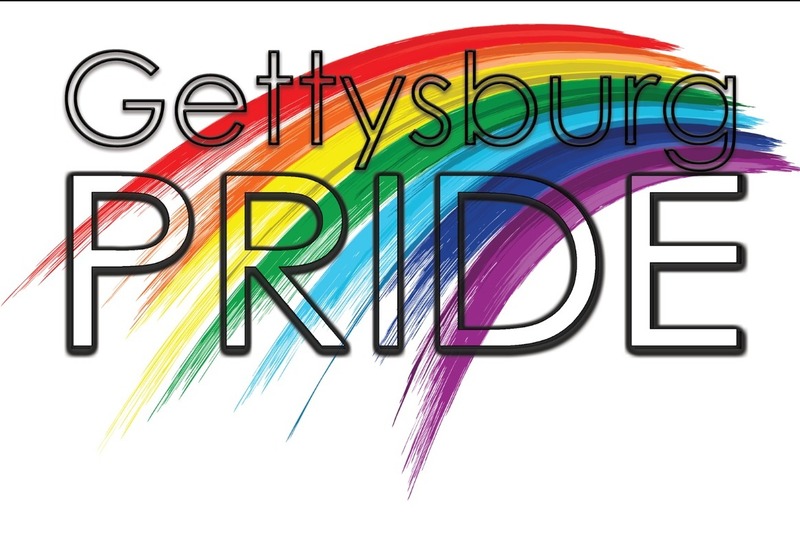 All funds raised go directly to covering event costs such as advertising, printing, entertainment, giveaways, and other expenses for Gettysburg Pride 2019. Every cent that we raise goes directly to Gettysburg Pride in helping bring LGBTQ+ awareness, education and support to Gettysburg . We are so honored to be part of this community. Your support means so much to so many in our community who feel safe and loved here for being who they are. We are business owners, artists, friends of yours, and we are also supporters of your businesses and causes that are important to you as well. Please join us in our dream to continue to create something special and unique for a community of LGBT and straight allies right here in Gettysburg. This year's PRIDE fest will include the famous bar crawl, Hedwig And The Angry Inch, a restaurant tour, shopping discounts, wine tastings, Pride March on Lincoln Square, family picnic, coffee chats, free rapid HIV testing and counseling, a pride cabaret, brunch, and more. We are partnering again with the HIV Caring Together Program of Family First Health that serves both Adams and York counties, and we thank you for your support! Donate right away to help us and receive special reward gifts, and join us for the 3rd Annual Gettysburg LGBT+ Pride May 31-June 2, 2019. Find us on Facebook, Twitter and Instagram for more information. We are family and are beyond excited to continue to develop Gettysburg Pride to be what YOU want it to be. Business Card sized ad on official website/social media outlets for Gettysburg Pride. Other benefits available based on Donor Level. VIP Seating at all seated Pride events, one free lunch for two at Food 101 (BYOB), and everything from sponsor levels below $2000. 2 VIP tickets to HEDWIG AND THE ANGRY INCH at GCT with backstage tour, guided historic downtown tour, guided ghost tour, Pride T, and everything from levels below 1000. 2 free cocktails or lattes from local bar or coffee shop, guided ghost tour, discounted ride share local rides, and everything from sponsor levels below $500. One free cocktail or latte from local bar or coffee shop, glow in the dark surprise, and everything from sponsor levels below $200. Stickers, free hugs all weekend, plus everything from sponsor level below $100. 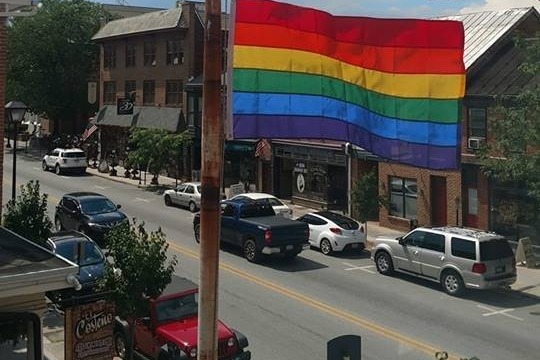 Pride flag and many thanks for helping create LGBT+ PRIDE in Gettysburg!!! Please share and show the love!